Have you been playing so much Halo lately, that the line between the real world and the Halo universe are starting to blur? If so, you should probably take a little break from gaming, but no one said you have to take a break from Halo! 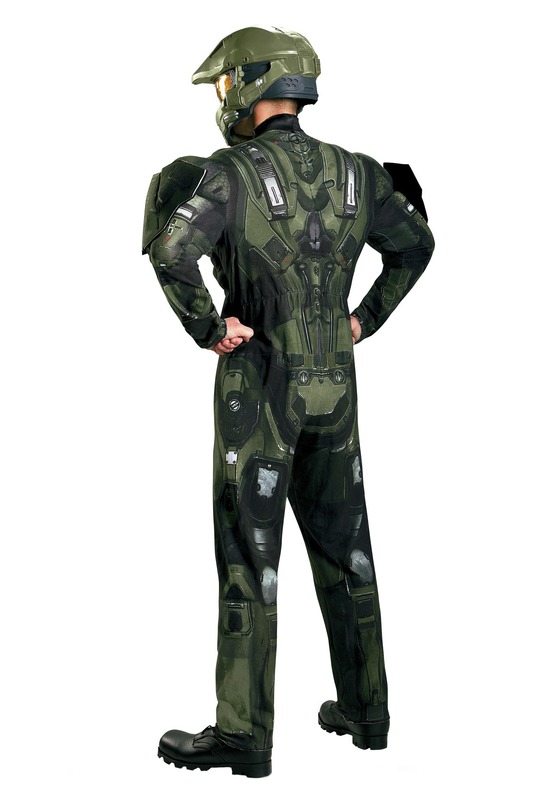 Step into this Deluxe Master Chief Muscle Costume for a whole new kind of Halo adventure. Imagining you're an actual Spartan super-soldier sounds really cool, but it could also come with a few unexpected side effects you should be aware of. For instance, you might keep wanting to throw sticky things at passersby, like how you'd stick a Covenant grunt with a plasma grenade. Sorry to burst your bubble, but most people in real life don't like having things thrown at them (especially sticky things), so we don't recommend doing that. You might also feel like you have incredible "Master Chief"-level strength, enough to even flip a car over. If you do feel the urge to try flipping a car over, at least be polite and ask the owner's permission first. If anyone sees you running around town in this muscly Master Chief costume, though, they will know you're just working on your Halo tactics and strategies. 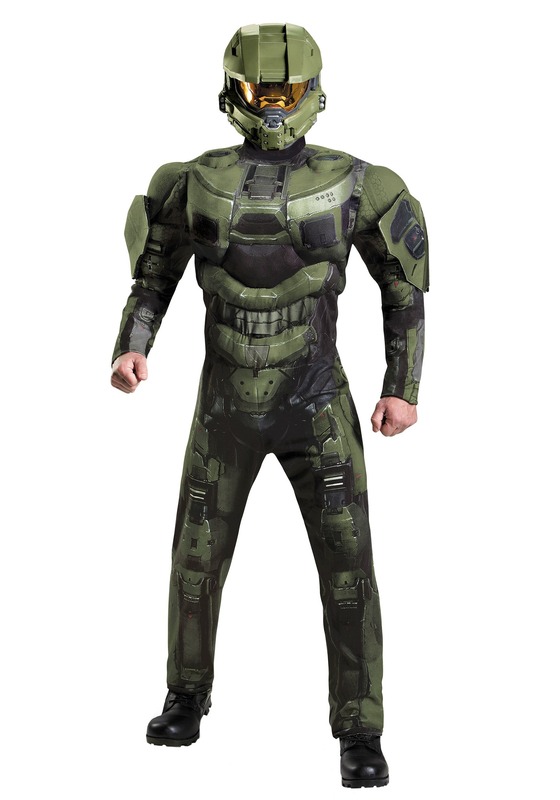 And since this is a deluxe costume, you'll look just like the real Spartan leader (especially if you add matching gloves and boot covers), so everyone will feel at ease knowing you're there to drive off any Covenant forces hidden in the area. Keep wearing this costume when you start playing the games again, and you'll feel just like how the Chief feels when he plays Xbox!